I know your NoShockZone article on generator bonding is getting “dated” at this point, but I just wanted to say THANK YOU for publishing it. This problem has “puzzled” me for a decade now and I’ve looked at many online articles in the past – to no avail. There is so much bad information on the Internet, and the manufacturers really aren’t any help at all. I wasn’t sure what to trust, but I read this and watched your YouTube video and it made perfect sense. 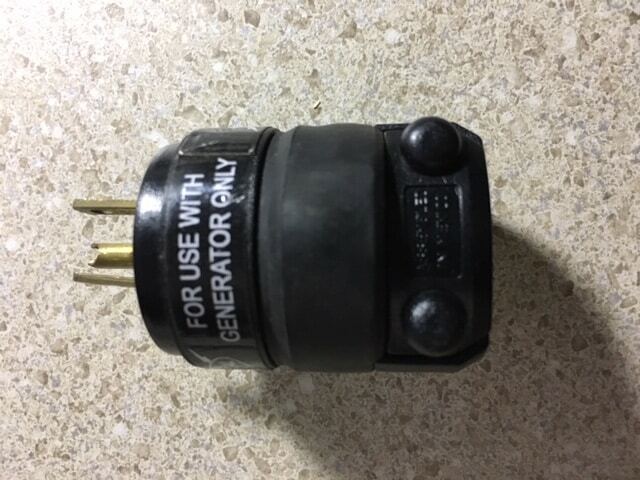 I made up one of your plugs this morning and tested it on my Honda 2000 Companion generator. It worked like magic. I have to run out and get some gas, and then I’m going to fire up my Champion 3500 watt inverter and test the plug on it. I have no reason to expect that it won’t work the same way. Thanks Bill. And even though I first wrote about this floating neutral issue and designed a simple solution for generator neutral bonding back in 2013, it’s still a very popular article on my NoShockZone.org blog, and has received nearly 85,000 views since I wrote it (and more than 14,000 views this year so far). Here are the basics of what my Neutral/Ground bonding plug does, and how to make one. I’ll cover more of what RV neutral bonding is in my RVelectricity newsletter this Sunday, so make sure you subscribe to it. Here’s the basic generator neutral bonding article reprinted with better pictures of how to build my bonding plug. And be sure to read the Sunday edition of RVelectricity. See you then…. I received this email from a reader who wants to power his RV from a Honda portable generator. John, all RV electrical systems are wired with their Ground and Neutral buses floated (unbonded from each other). There are lots of good reasons for this, most specifically that it’s an NEC and RVIA code requirement that the safety ground wire never carries any load current, and there can be only one Ground-To-Neutral bonding point in any distributed electrical system in the USA. 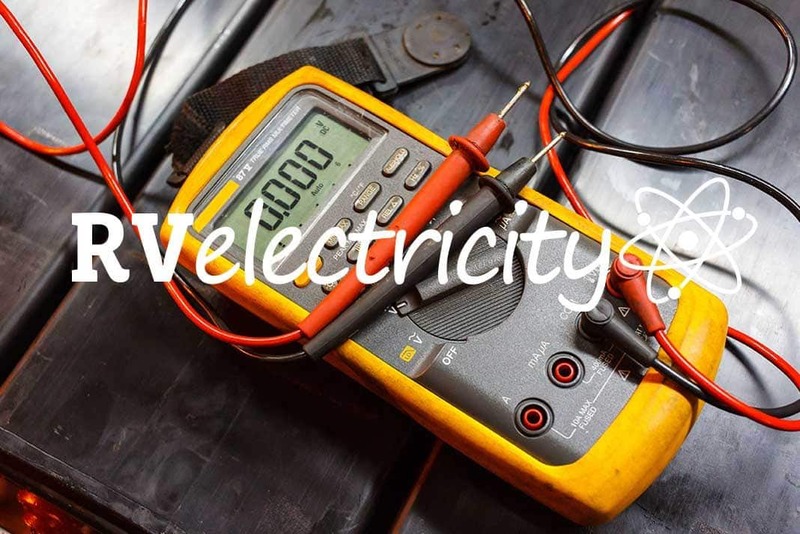 Now, when you’re plugging your RV into power from a building (your garage outlet) or campground (pedestal outlet), your RV has its Ground and Neutral buses “bonded” (connected) together externally as part of the service panel’s earthed safety ground system. Again, lots of reasons for this, but the fact is you can only have a single N-G bonding point according to the National Electrical Code and RVIA building codes. So when your RV is powered by its on-board generator, this N-G bond connection is created by the transfer switch set to generator mode. But when the transfer switch is set to receive shore power, your RV expects the external power source to bond its Ground and Neutral wires together. 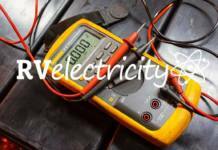 Now if you have an inline voltage monitor system from a manufacturer such as TRC or Progressive Industries, your voltage monitor is checking for the Neutral and Ground voltages to be very close to each other, probably within 3 volts or so. This works well if you’re plugged into shore power that’s properly grounded and bonded, but this voltage protector can be tripped off by plugging your RV shore power plug into a portable generator without an internal Neutral-Ground bond. If you don’t have a voltage protection device on your RV, then you may never know that your generator has a floated neutral (unbonded N-G bus). Here’s a really simple test you can do to see if your generator has a floating neutral. Just plug in a basic 3-light tester that you can buy from any big box store for $5 or less, and see if it shows an open ground. If you get an open ground indication, then the generator likely has a floating neutral and needs a N-G bonding plug to work with an intelligent/EMS surge protector. If you get the proper indicator lights showing it has a ground, then you don’t need an external N-G bonding plug. See my video on testing generators for a floating neutral here. Contractor-type generators such as your Coleman 5000 are generally N-G bonded internally, which is why it runs your RV just fine. However, many portable inverter generators from companies such as Yamaha and Honda (your EU3000, specifically) have floated Neutrals (no internal Neutral-Ground Bond) since they expect an external N-G bond to happen somewhere else. And while RV-approved generators may have an internal N-G bond, it seems that many of the most popular portable inverter generators from Honda and Yamaha have floating neutrals. I discussed this very point with Honda engineering, and they confirmed that their inverter generators have floated Neutrals and simply say that you should follow all local electrical codes for bonding-grounding. So your EU3000 isn’t providing the Neutral-Ground Bond that your RV requires to think it’s getting properly grounded power, while your Coleman 5000 has a Neutral-Ground bond already so it operates your RV properly. Seems crazy, but that appears to be the scenario. And be aware that there are some really inexpensive Chinese generators that are neither fish nor fowl. That is, they don’t have a floating neutral, nor do they have a bonded neutral. Instead they make 60-volts AC on the hot wire, and 60-volts AC on the neutral wire. Sorry, but I don’t have a fix for that one. t’s pretty simple to wire your own special “Neutral-Ground Bond” jumper cable for your Honda or Yamaha generator which will allow you to power your RV through its voltage protection device. You can obtain or make a dummy 15- or 20-amp “Edison” plug with the Neutral (white) and Ground (green) screws connected together with a piece of 12- or 14-gauge stranded wire (see photos on the left and below right and left). Just be sure that you jumper the Green (Ground Screw) to the White (Neutral Screw). The color of your jumper wire can be white, green or bare copper since this is jumping the Ground and Neutral bus together. This N-G jumper plug can be plugged into one of the generator’s unused 20-amp outlets, and the entire generator’s electrical system will be N-G bonded. You can then use the other 20-amp Edison outlet or the 30-amp outlet to power the RV. Just be sure to mark this plug specifically for its intended purpose (photo right). It won’t really hurt anything if it’s plugged into a correctly wired home outlet, but it will create a secondary N-G bonding point that could induce ground loop currents and create hum or buzz in a sound system. Note this is a generator-only N-G bonding plug which should be only plugged into a portable generator while powering your RV. NEVER plug this into an internal outlet in your RV as that would create a potentially dangerous code violation. Finally, if you’re not comfortable “rolling your own,” you can purchase a ready-made version of my Generator N-G Bonding Plug from Micro-Air. If using 2 Honda 2000’s will only one of these need a cheater/grounding plug ? Or one for each unit ? After I had installed a power monitor system in a new 5th wheel back in 1997 I learned that it would not allow my portable generator to power the RV. Checking the error codes I made a plug as you described and the generator then worked. It was a good thing that a Home Depot was less than a block away. I didn’t know the “whys” until your article. Thanks for the explanation. it makes sense now why it didn’t work the first time. Many thanks for sharing your knowledge with us all Mike, I always manage to learn something from your articles proving that you truly can teach an old dog a few tricks!